For brides that want a look for their wedding that goes beyond bland styles you should look to Beauty By Lishma. When she founded this studio, Lishma Patel aimed at providing South Asian brides in Orange County access to some of the best services in the country but she quickly extended her bridal makeup services to residents throughout California. Lishma and her team are able to provide Henna services as well as world-class hair styling services. In addition to this service being highly professional, Lishma also aims to make her prices as affordable as possible. With over a decade of experience Rubi is one of the leading Orange County makeup artists and she is especially talented when it comes to wedding hair and makeup. In fact, the number of services that Rubi can provide is highly impressive and ranges from offering advice on what will bring out your natural beauty best and assisting with temporary hair coloring. If her list of previous experiences doesn’t convince you then Rubi’s beautiful gallery of previous clients certainly will. By viewing the gallery proudly displayed by Southern California Hair & Makeup it is immediately clear that this service is the best in the area. Their makeup artists specialize in creating a natural look that will have you glowing on your big day. Not only do these experts transform brides but they also offer unbeatable advice, which will guide you to making the right choices regarding your makeup and hairstyle for the wedding ceremony and celebration. Putting your look in these expert hands will give you much needed peace of mind. While Swell Beauty does have an impressive range of services, a highly talented team of beauty experts and a breathtaking portfolio, it will be the reviews left by previous clients that will convince you to hire this company. There are many choices of makeup artist in Orange County, CA but no other service focuses on brides the same way as Swell Beauty does. This professional team is able to replicate any look you might want to opt for and guarantee to make you look glamorous. Unlike many other makeup artists in the local area, Ms Scarlett provides future brides with a look that enhances their natural beauty. 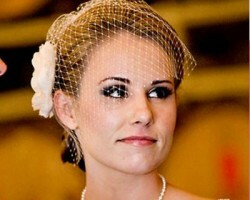 She specializes in pinup or vintage styles that guarantee to make any woman look stunning for their big day. Ms Scarlett only uses the highest quality of beauty products so the results are always incredible and long lasting. With makeup that will stay perfect for hours there is no need to turn to highly expensive permanent makeup options.